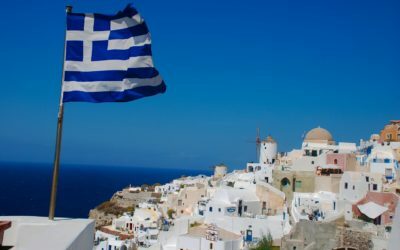 Ancient cities, Italian coasts, and a dazzling Greek Islands cruise through the emerald waters of the Aegean Sea – this could be the story of your 2020 summer. Flying into Rome, get your city fix as you wander Roman streets and take in some of the age-old sights. 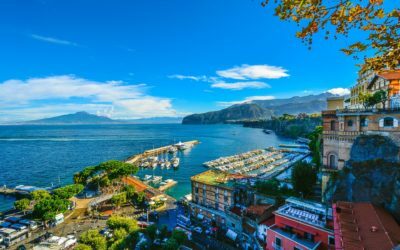 Then head down to the Italian coastal town of Sorrento; make a stop at Pompeii and enjoy a day trip to Capri Island. Flying over to Greece, you’ll discover the history and the hip neighborhoods of Athens before boarding your 3-day, 3-night Greek Island cruise. Marvel as iconic Greek postcard scenes come to life; swaying windmills, dramatic cliffs, and whitewashed houses. 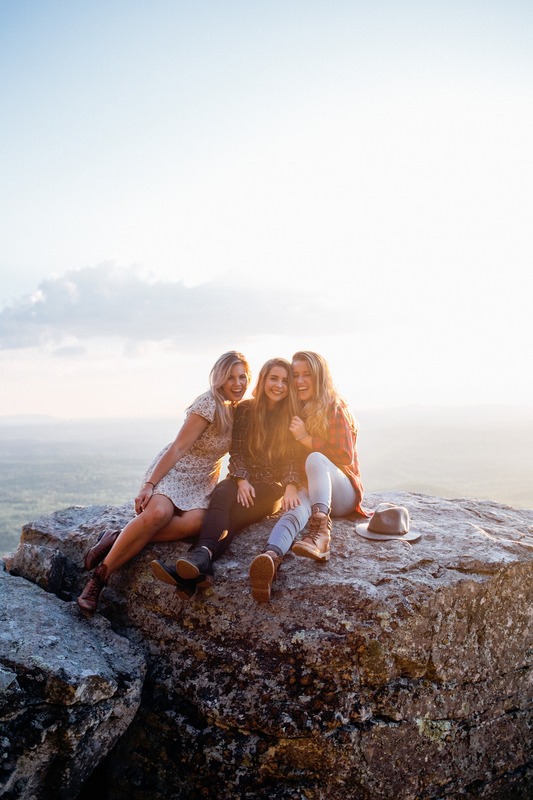 With 4-star central hotel stays and upgraded meals, sign up for a 2020 summer in the Mediterranean and create magical memories that, simply put, are just priceless. Starting off in Rome, your exploration of Italy will see you travel to Pompeii, Sorrento, and Capri Island before transferring to Naples for your flight to Athens. Absorb the culture of a past and present day Athens before setting sail on your 3-day 3-night cruise through the Greek Islands. Return to Athens for your flight home. All hotels are centrally located and of 4 star standards. The exact hotels will be communicated closer to departure time. 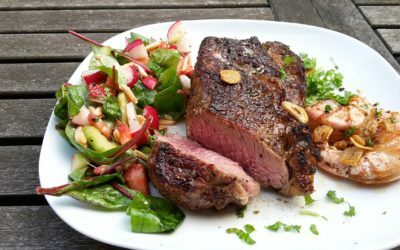 When you travel with Lingo Tours, you will always enjoy meals of upgraded quality. On this tour you'll enjoy full daily hot buffet breakfasts as well as daily delicious dinners (excluding one night in Sorrento). On the 3 day cruise you will enjoy breakfasts, lunches, and dinners. 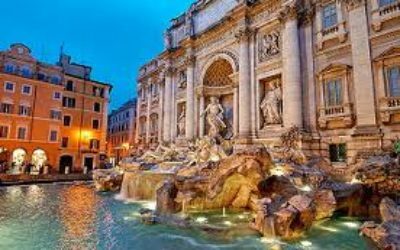 Start the adventure of a lifetime by departing USA and flying overnight to Rome, Italy. Arrive in Rome where your Tour Manager will greet you at the airport. 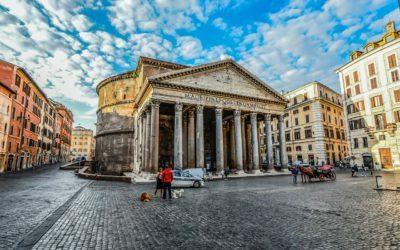 Explore the city on a Tour Manager led walking tour taking in key sights such as Piazza Navona, Pantheon, Fontana di Trevi and the Spanish Steps. Sit down all together in the evening for dinner…. Benvenuto in Italia, welcome to Italy! Time to head out of the big city as you transfer to Sorrento. On the way, you’ll make a stop at the ancient Roman town that was buried in ashes in 79 AD, Pompeii. Learn all about the key facts and take in the stories with a guided sightseeing tour from an expert guide. 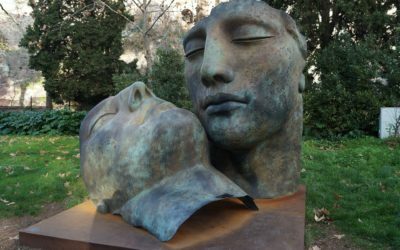 Once in Sorrento, take a stroll with your Tour Manager through the iconic town, before sitting down for a relaxing dinner all together at night. 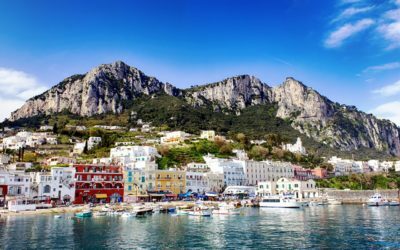 Get out on the water with a day trip to Capri Island where you’ll have time to visit the island community of Anacapri. Soak up the sun and sand with some dedicated beach time before circumnavigating the island via a boat trip returning to Sorrento. 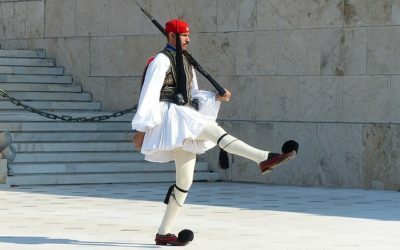 Time to switch countries as you fly to Athens! 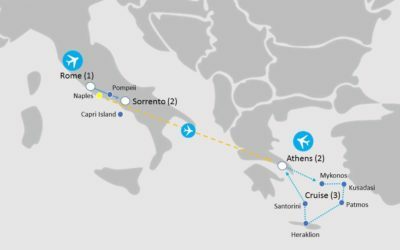 Transfer to Naples for your flight from Italy to Greece. Once you’ve arrived in Greece, take a Tour Manager led walk through the Plaka area of Athens before sitting down to a delicious dinner. Let’s go island hopping! 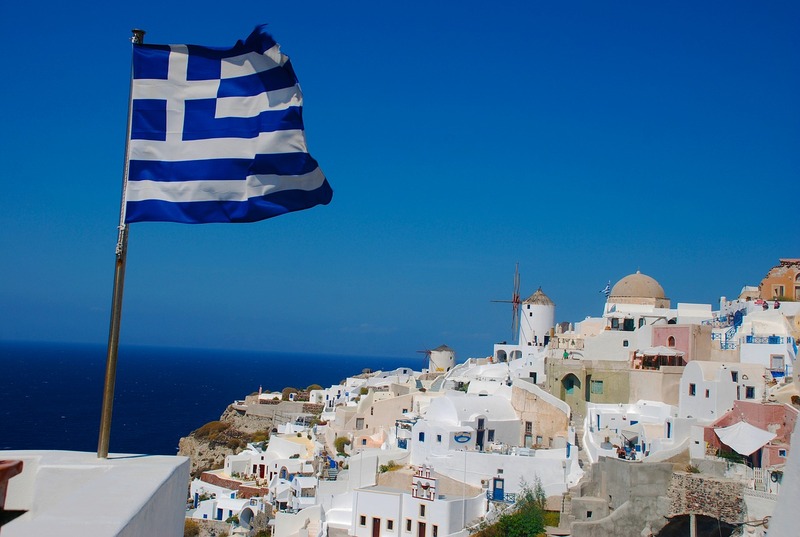 Board your cruise in Athens and sail off to Mykonos Island where you will arrive in the early evening. Make the most of your 5 hours to explore the dreamy iconic Greek island which is known as the “island of the winds” with it’s distinctive windmills. Return to your cruise ship by 11pm for your overnight journey to the next port. Today you’ll make stop-offs at Kusadasi and Patmos, taking an included bus tour in Kusadasi to discover the ancient Ephesus which was built 3,000 years ago. Then cruise over to the hourglass-shaped island of Patmos, known among locals as the “Holy Island” named after St John the Apostle. Spend the afternoon and evening here before you depart for Heraklion at 9pm. Sailing into Heraklion in the morning, marvel at the Koules Fortress that guards the ancient capital of Crete. Then be back onboard by 11:30am for your next island hop to Santorini where you will be greeted by the striking cliffs vertically dotted with traditional white Greek houses and blue domed churches. Enjoy an included excursion to see the spectacular Oia village up-close, perched high on the caldera rim. Start your sail back to Athens at 9:30pm. Arrive back to in Athens in the early morning and make the most of your last full day with a guided sightseeing tour of the city. Also included is entrance to the Acropolis. Climb to the top of the hill and take a break to enjoy the view, looking out past one of the 2,400 year old columns. Wrap the day up, and the tour, with your Farewell Dinner in the evening. Transfer to Athens airport for your return flight to USA. June 2020 – Depart Detroit/Chicago, USA flying to Rome, Italy. Return from Athens, Greece on Day 10 of the tour. Sign up online with tour code IGI071 and secure your space by paying the registration fee. If you would like more information (PDF tour brochure, rates etc.) please contact the Group Leader who is organizing this tour.